How and why this is true is an example of truly fine detective work, made possible in part by something Jamison’s former teacher Mark Kenoyer has been one of the pioneers of: working with modern craftsmen to understand the step-by-step production sequences necessary to make modern versions of ancient goods, and use the understanding so gained to examine – microscopically in this case – the original objects. Jamison writes, “An approach that focuses on the chainé operatoiré of specialized craft production and its material signatures in the archaeological record allows one to investigate issues relating to scale and control that can be evaluated independently of written records.” In this case modern steatite artisans in Udaipur city were recruited to replicate Indus seals using tools familiar to ancient Indus craftsmen; the resulting studies of how they each went about it yielded a wealth of data on sequence and individual carving styles. This variability led to specific “visual signatures” that were then examined for and elicited from careful study of original unicorn seals. The specific elements of 180 original unicorn seals – eye, ear, pizzle, hoof, head, standard, etc. – yielded revealing similarities and distinctions in how they were carved and represented. In one case, he offers compelling evidence that three seals from Mohenjo-daro were likely carved by the same craftsmen. In other cases, regional styles in Lothal and Bagasra are highlighted. A tour-de-force of hard work, patience and insight, one has the feeling from Jamison’s work that we are only at the beginning of what this kind of fine-combed research across eras and disciplines can yield. Like Randall Law’s work with raw material networks, or Sharri Clark’s analysis of figurines (both also students of Kenoyer), this kind of meticulous research across large groups of objects reminds us of how much can still be discovered in things already unearthed from the ancient Indus civilization. Many Indus secrets are already above ground, waiting for the detectives. 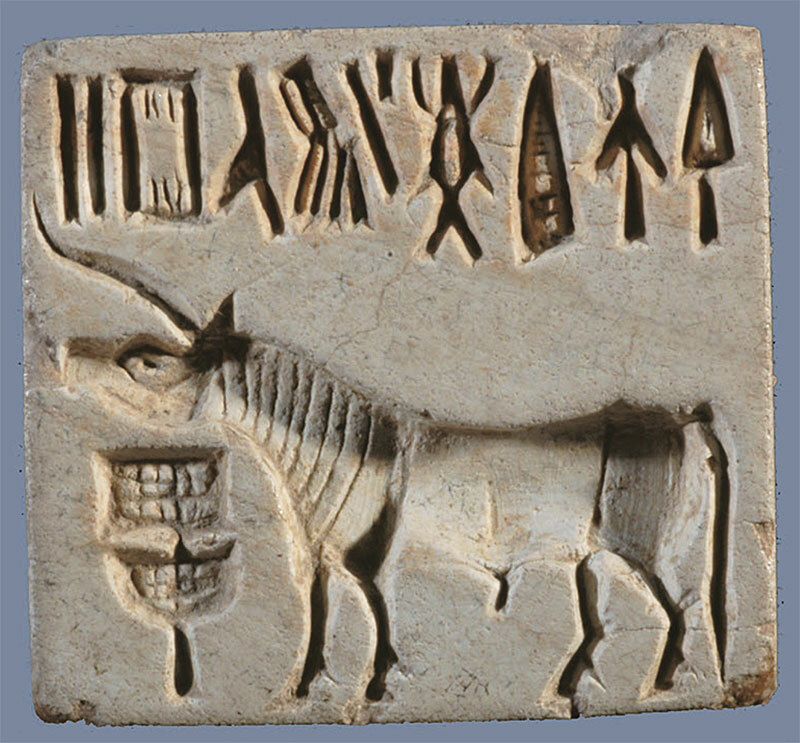 Above: Unicorn Seal from Bagasra (Gujarat), C Department of Archaeology and Ancient History, The Maharaja Sayajirao University of Baroda.